10-17-07 Food and Kids… and School. If this picture triggers horrible flashbacks to your school cafeteria lunch days, I'm sorry. If this picture looks like your lunch today, I'm also sorry. If this picture is making you hungry and you're offended by the first two sentences, I'm sorry, as well. The contradiction between people's desires to raise healthy kids and the food we feed kids, whether in school or at home, is one of those things you might not ever think about, but once you do, it's hard not to wonder what on earth we're doing. If we want kids to be healthy, why are school lunches notoriously unhealthy? Why are kids menus full of fried, greasy, fatty foods like pizza, french fries, and chicken nuggets? Why do we assume these are the types of foods that kids naturally like? At 1pm today, we'll talk about some different approaches to feeding kids, again, both in and out of school. For some interesting ideas, check out The Food Studies Institute, started by one of our guests today, Antonia Demas. If you're a parent, what have your experiences been when it comes to feeding your kids? Are you happy with the food that they're given in school? 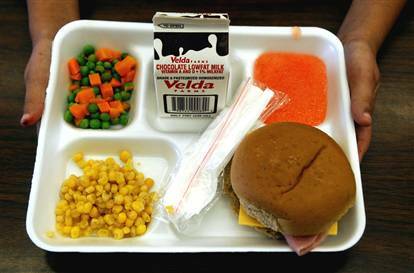 If this picture triggers horrible flashbacks to your school cafeteria lunch days, I’m sorry. If this picture looks like your lunch today, I’m also sorry. If this picture is making you hungry and you’re offended by the first two sentences, I’m sorry, as well. The contradiction between people’s desires to raise healthy kids and the food we feed kids, whether in school or at home, is one of those things you might not ever think about, but once you do, it’s hard not to wonder what on earth we’re doing. If we want kids to be healthy, why are school lunches notoriously unhealthy? Why are kids menus full of fried, greasy, fatty foods like pizza, french fries, and chicken nuggets? Why do we assume these are the types of foods that kids naturally like? 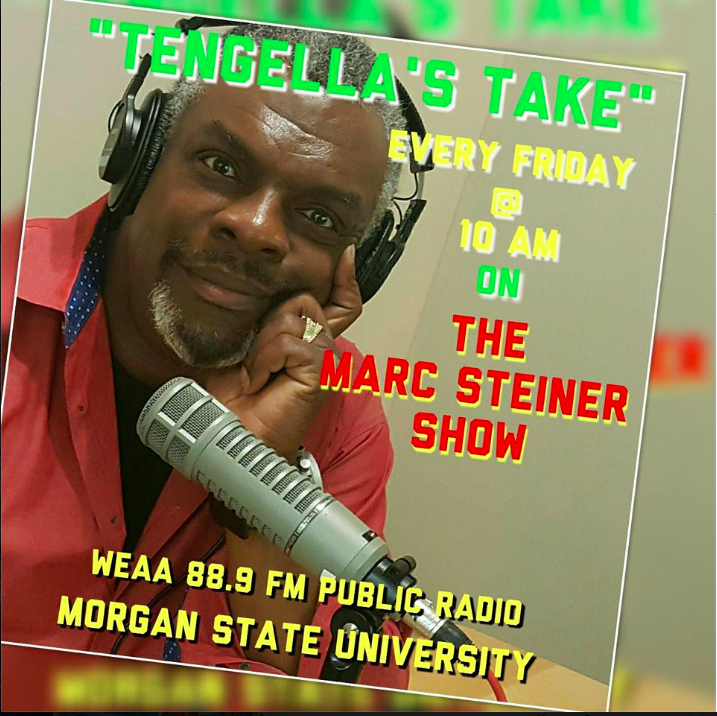 At 1pm today, we’ll talk about some different approaches to feeding kids, again, both in and out of school. For some interesting ideas, check out The Food Studies Institute, started by one of our guests today, Antonia Demas. If you’re a parent, what have your experiences been when it comes to feeding your kids? Are you happy with the food that they’re given in school? I live near the Rotunda in the northern Hampden area. Periodically young checkers appear at both the Giant and the SuperFresh, new to the job. These people presumably have at least high school diplomas. They seem obviously intelligent in my opinion. They speak well. They don’t know what produce is in my shopping cart, however. I remember one commiserating with me because I hadn’t been able to find ripe pears, and the pears were deliciously ripe. She thought Bartlett pears had to be green to be ripe. Two weeks ago, a young checker had no idea what my Swiss chard was. These folks will learn, but what about other young people who don’t know anything about fruit and vegetables, except perhaps for apples and bananas? Young people who have never eaten a ripe peach, for example. How can they be expected to eat well. The education part of this discussion was very important, I think.